Managing IAMAT’s programs and reaching out to new partners keeps Tullia Marcolongo, our Executive Director, very busy. Tullia’s work includes everything from providing health advice for travellers to making sure IAMAT’s operations are running smoothly. 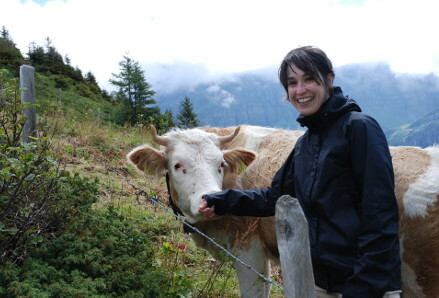 We caught up with Tullia to find out what she finds most interesting about travel health. How long have you been involved with IAMAT? What do you like best about your work? I started working with IAMAT in 2008. One of the best parts of my work is to find out where our members are travelling and hearing how much we helped them. My father, Vincenzo Marcolongo, started IAMAT. I never imagined continuing his work/legacy growing up – I have a graduate degree in environmental policy. As my interests expanded into environmental and public health, I brought my knowledge and experience from the non-profit sector to IAMAT. What do you find most interesting about travel health? It’s a multi-disciplinary field. You need to know geography, vaccinology, epidemiology, a country’s health profile and cultures, as well as the latest travel trends. You also have to know about the destination country’s natural environment and, now more than ever, understand how climate change impacts the spread of infectious diseases like dengue, chikungunya, Lyme disease, and malaria. I am also interested in making the links between travel medicine and global health. Even though travel medicine is a specialized field, it is intricately connected to global health. As responsible travellers we can prevent injuries and stop the spread of infectious diseases during travel, reducing the financial burden on local health systems. We also have the privilege of not bringing back home infectious diseases like measles which can spread quickly in our communities. Travel is a reminder that we are all connected and that was my father’s view. He saw how travel connects us all through health. Why did you decide to take the Certificate in Travel Health exam offered by the International Society of Travel Medicine? The Certificate recognizes the quality and reliability of the travel health advice I give to travellers. It was the next logical step in my career trajectory and it provides me with an opportunity to help more travellers. What’s your favourite travel memory? One of my best memories is travelling in China. The first time I was there in 1994, I taught English to medical graduate students at the Chinese Academy of Preventive Medicine now affiliated with the Chinese Center for Disease Control and Prevention, located northwest of Beijing. My hosts and students were so welcoming and generous. I remember arriving in Beijing and on the tarmac were airport workers on their bicycles. I will also never forget the throngs of people on bicycles, one lane deep, waiting at traffic lights. When I went back fourteen years later for IAMAT, cars had taken over bicycles as the primary mode of transportation. I love to hike and snowshoe. I have a bit of an addiction to finding the best peaks in any place I travel.